grocer we’ve gone to from Antigua and North. That’s what my brother, a cruiser-curious and far superior cook than me, asked. “Excellent,” I replied, immodestly. “I do the cooking.” We don’t eat out much; it’s how we can afford cruising. Caribbean cuisers of yore complained about the inability to get decent food – or – I’m guessing – more of what they’re used to eating at home. For us, exploring new cuisine is part of the adventure and raison d’être for Galley Wench Tales’ moniker. 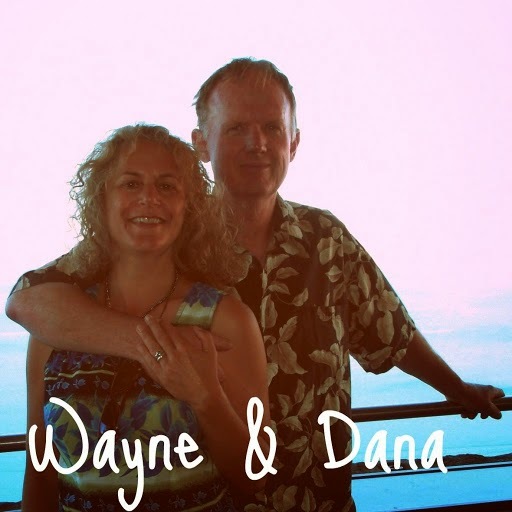 Yet when my best friend Anna asked, “What’s surprised you most, cruising?” one of my answers was just how big a bread basket the United States is in the Caribbean. The majority of the agriculture we’ve seen is from the US and Canada. Rattle off whatever non-perishable brands you see lots of on US grocery shelves -- like Kellog’s, Coke, Nestles -- you’ll most likely find them easily in Caribbean grocery stores, too. grocery store, Pueblo in St. Thomas. However, to keep our costs down, and to satisfy my culinary curiousity, we explore local products and new brands whenever it makes sense. Most often, what makes sense is trying non-perishables and local produce. Meat and poultry, thanks to salmonella and mad cow disease paranoia, we approach with much greater caution. 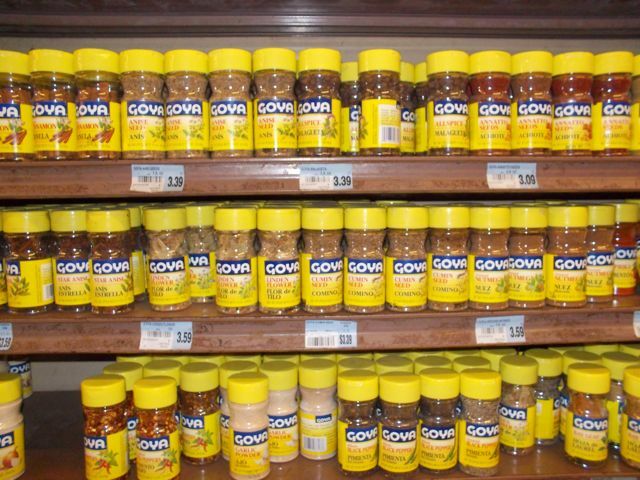 Ironically, the two most prevalent and affordable brands new to us here, Goya and Badia, originate out of the Unted States! 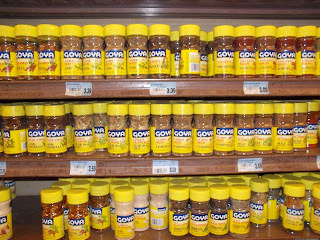 Goya (click here to learn more about them) was started in 1936 a small storefront in Lower Manhattan, New York. Their niche is catering to local Hispanic families by distributing Spanish foods. 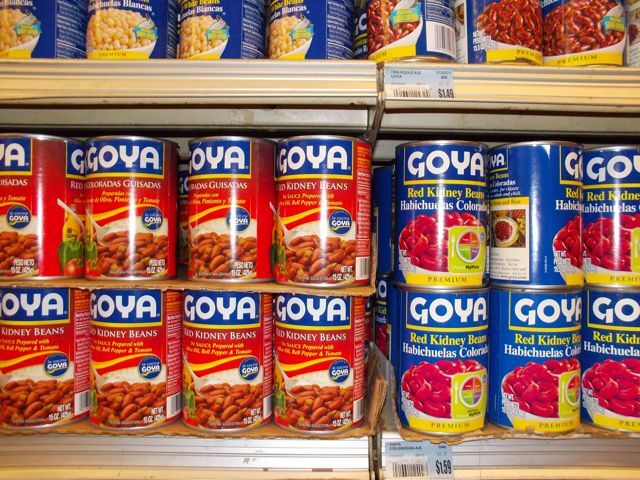 According to Goya, they’re “The largest, Hispanic-owned food company in the United States.” The bulk of our cupboard is filled with Goya-branded food… all manner of beans, lentils, sauces, seasonings. I like buying spices in very small quantities, in envelopes rather than bigger bottles. It’s not only cheaper, it takes up less room. 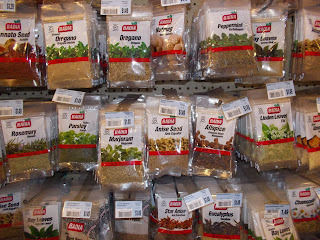 Thus, we’ve come to appreciate Badia spices, which are often sold that way in the Caribbean. Badia is based of the Miami Florida area. 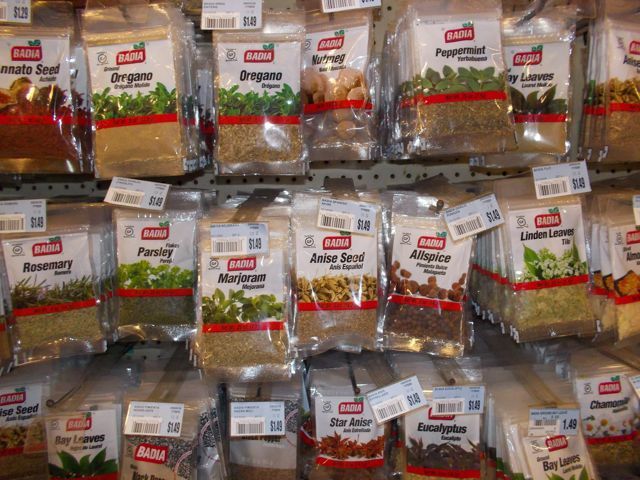 They were founded in 1960 and began by selling spices to small bodegas, or shops, in Miami. 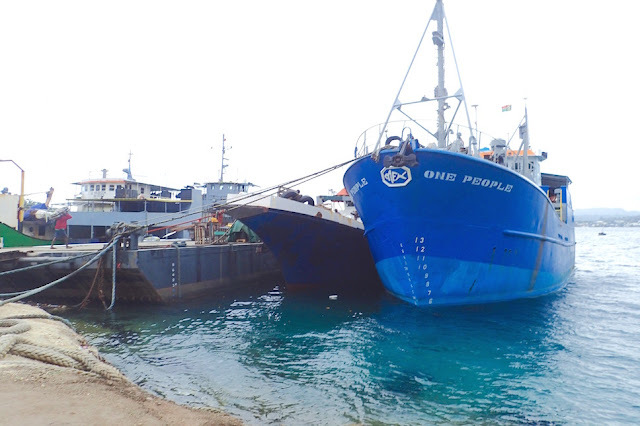 While still a family-run company, their international distribution is growing. Current CEO Pepe Badia said the secret to his company's success is a moderately priced product (click here to learn more about Badia). It is funny though… Travel to the Caribbean to explore new and exotic foods … and enjoy the culinary equivalent of meeting the boy next door.